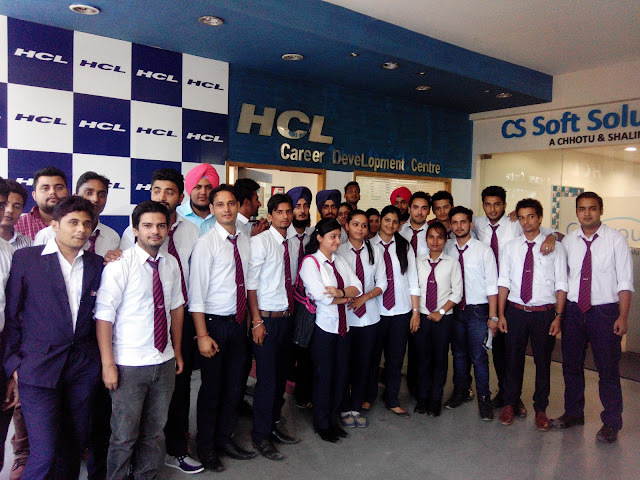 HCL Technologies Limited is an Indian multinational IT services company, headquartered in Noida, Uttar Pradesh, India. It is a subsidiary of HCL Enterprise. Originally a research and development division of HCL, it emerged as an independent company in 1991 when HCL ventured into the software services business. HCL Technologies (an acronym for Hindustan Computers Limited) offers services including IT consulting, enterprise transformation, remote infrastructure management, engineering and R&D, and business process outsourcing (BPO). The company has offices in 34 countries including the United States, European countries like France and Germany, and Northern Ireland in the United Kingdom. It operates across a number of sectors including aerospace and defense, automotive, consumer electronics, energy and utilities, financial services, government, industrial manufacturing, life sciences and healthcare, media and entertainment, mining and natural resources, public services, retail and consumer, semiconductor, server and storage, telecom, and travel, transportation, logistics, and hospitality. HCL Technologies is on the Forbes Global 2000 list. It is among the top 20 largest publicly traded companies in India with a market capitalisation of $22.1 billion as of May 2015. As of August 2015, the company, along with its subsidiaries, had a consolidated revenue of $6.0 billion. Skills: Infrastructure Management Services (IMS)-Security-Perimeter security solution. Through knowledge Object oriented concepts & SDLC Life Cycle. Theoretical knowledge on Java and J2EE would be added skills. Also should do the Log file analysis.